Runtime of 20 mins or 1 hr. The Viair 400 Series Air Compressor provides powerful and consistent air delivery. With a maximum working pressure of 150 PSI, it can fill up 5.0-gallon air tank size. It is available in several models, to suit different performance needs. Models 450C, 460C, and 480C offers 100% duty cycle and runs continuously for an hour while 400C and 420C models have a 33% duty cycle that works quickly and efficiently. The Viair 400 Series Air Compressor is equipped with a permanent magnetic motor type with high-performance PTFE piston ring and stainless steel valves. It also comes with an anodized aluminum alloy cylinder. 420C, 460C and 480C compressors have a trapezoidal head design and include horizontal cooling fins. Moisture and dust resistant, all compressors in this series have an IP67 rating. The Viair 400 Series Air Compressor comes with a thermal overload protector that shuts down the compressor when overheated. 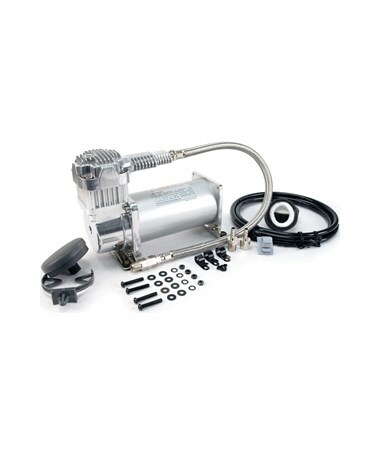 The complete kit includes a check valve, vibration isolators, mounting hardware, stainless steel braided leader hose, air line for remote mount air filter, remote mount air filter assembly, and two replacement air filter elements. 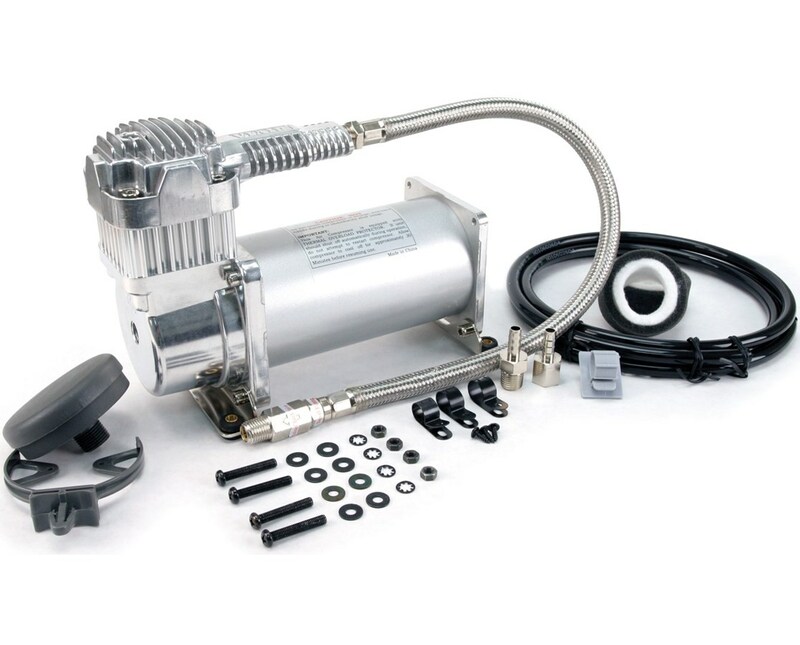 The leader hose and check valve keep the compressor from restarting under pressure which helps prevent motor damage. Use of a pressure switch and relay are recommended and required. The Viair 400 Series Air Compressor is covered by a 1-year manufacturer’s warranty against defects. The Viair 400 Series Air Compressor is available in different models. Please choose from the menu above.